$319. This Radical Caution themed obstacle course will provide 30 feet of thrill for those that work their way through. 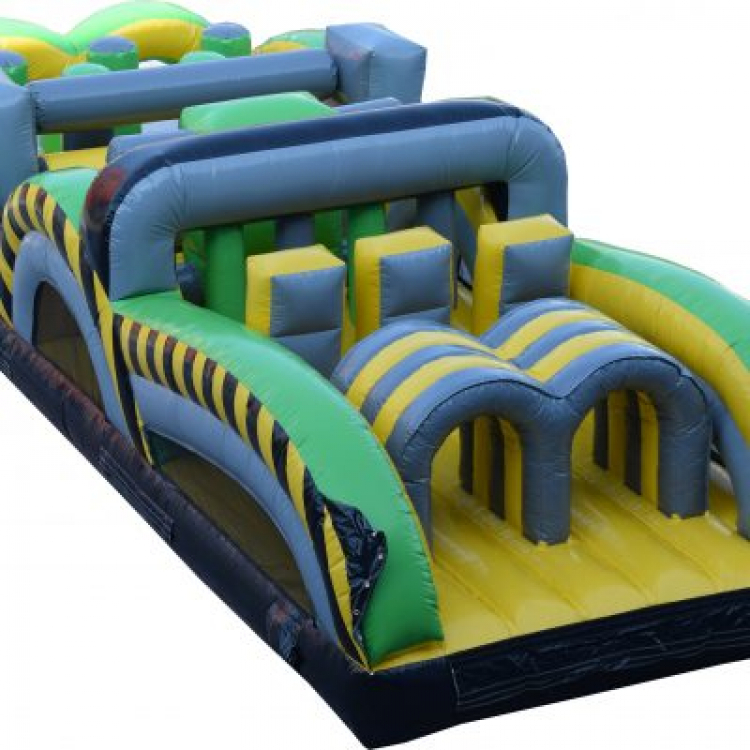 This piece can be joined to the Radical Run 35'Obstacle Course piece for a 65 foot obstacle and can be upgraded with a slide attached for a 95 foot obstacle.